Arrested for DUI in Villa Park? 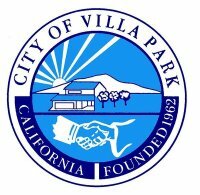 You might have never even considered the need to find a Villa Park DUI attorney. If you were arrested for driving under the influence in Villa Park, however, this will save valuable time when you need it the most. If a police officer suspects you of DUI, they may pull you over and you may be placed under arrest even if you have not consumed a large quantity of alcohol simply because of assumptions within the system. Regardless of the circumstances of your arrest, you will have just 10 calendar days to find a Villa Park driving under the influence defense attorney to request a hearing and to start preparing for your defense. It couldn’t be more important to move quickly! Failure to get representation to schedule your hearing will result in the automatic suspension of your driving license. Failing to schedule your hearing can put your driving privileges at risk and increase the impact of the DUI arrest on your future. There are a lot of different factors that may surround your arrest. Alcohol affects people differently due to a number of variables. It also affects men and women differently for a number of reasons. It is important that you cooperate with the arresting officer, regardless of the circumstances of your arrest. If there are mistakes involving the reason for pulling you over, administering the breath test, or the results obtained, those will be addressed during your case at court and at the DMV. Your Villa Park DUI lawyer will use the available time prior to the hearing to prepare for your defense. He will also examine the evidence against you and look at whether any defenses exist in you Villa Park DU case. If your attorney is successful, your driver’s license will be returned. If your case goes to trial, your attorney will take the opportunity to examine the evidence against you even further. If there are questions concerning your Blood Alcohol Content (BAC) that was measured at the time of your arrest, the results will be brought into question. Even if your breath test registered a higher than legal BAC, your Villa Park attorney will question these results based on your specific circumstances. The more knowledgeable your attorney is about the DUI law in Villa Park and Orange County, the better your chances at creating an effective defense against your DUI charges. If your case depends on your DUI attorney’s ability to discredit a positive breath test, don’t give up hope of defending your case. There are many legitimate reasons that your test might have been positive without having any alcohol in your system. It may also have giving a higher than accurate reading that made your BAC higher than the legal limit, leading to your arrest. The acceptable margin of error is one of the conditions that can affect the BAC of those who have been arrested for being over the legal limit of .08 by only a small percent. With the .02 margin of error, the actual amount of alcohol in their system might be as little as 0.06%, well below the legal limit. If you were arrested due to a BAC of 0.06% or 0.07%, the variable may be useful in having your breath test results given less weight throughout the proceedings. It is also important to administer the test at least two hours after the last drink is consumed. Otherwise, all of the alcohol that you drank might not have been fully absorbed. If you just left a restaurant or bar where you had a drink and were then administered a breath test, your Villa Park DUI lawyer may be able to use this timeline to your advantage. If your lawyer is successful in defending your case with these and many of the other factors that can affect the breath test, you may have your driver’s license returned to you and may prove to be successful in your DUI defense in court or at trial. Talk to your DUI attorney about the possible punishments you will receive if convicted of DUI and what you can do to avoid those that are the most severe. The more prepared, the more effective your defense will be.